Sometimes I have a dream I am surrounded by cats. Fluffy, adorable kitties everywhere! But it quickly turns into a nightmare. No—no! Not the litter boxes! Each cat in your home should have its own litter box plus one extra. For a household with three cats, for example, experts suggest that you have four litter boxes. This assures that each cat has its own place to go and an extra one if all of the litter boxes are dirty or otherwise disagreeable—you know how cats are. Don’t keep all of your litter boxes in one area of your home. Spread them out in different rooms on different levels. That way, there’s always somewhere to go, no matter what part of the house they’re in. If you live in a two-story home, keep litter boxes on both stories if you allow your cats to move between them. Make sure your cats have uninterrupted access to their litter boxes. If you keep your litter box in a bathroom or closet, make sure to keep the doors open. Avoid keeping litter boxes in high-traffic areas, especially areas where you might have guests. If you have your litter box somewhere warm, like next to a washing machine or by a heater, it may be encouraging mold growth and helping to spread that litter box smell around your house. Move your litter boxes somewhere cool, so it stays clean, contains the odor, and makes your cat feel comfortable using it. Cats are extremely sensitive to smell, so be sure to place your litter boxes away from their food and waters bowls, as well as where you cook. Cats also prefer a quiet space to go. The laundry room might be convenient for you, but the noise of the washer and dryer may distress your cat. Find a quiet place free of smells to place your litter boxes. We don’t need to tell you to regularly scoop your litter boxes, but you might need someone to nudge you give your litter boxes a good scrub. We suggest giving them a deep clean at least once per month. Remove all litter and the liner if you use one, and give them a good power wash. Use soap and water, a vinegar wash, or even bleach to break up caked on material and sanitize them. 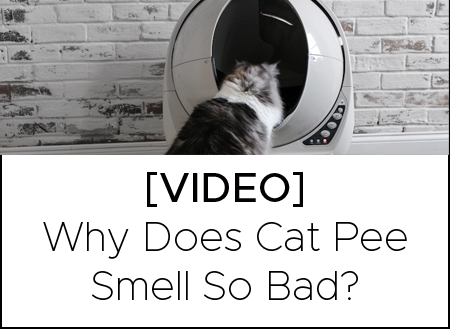 This will go a long way toward reducing that unpleasant litter box smell—your guests and cats will thank you! Multiple cats means multiple litter boxes and multiple litter boxes means you’re spending a lot of your time and energy bent over scooping cat litter. 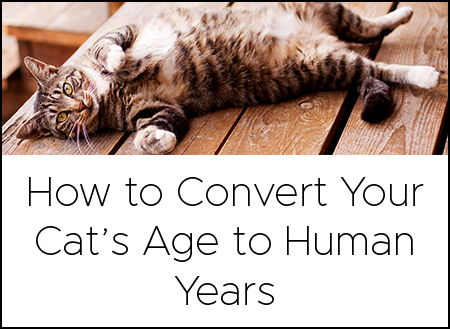 What if you could take even better care of your cats AND never have to scoop cat litter again? I thought you’d like that idea. Try the Litter-Robot automatic self-cleaning litter box. Its smart sensor knows when your cat is inside and when it’s time to clean up. Minutes after your cat uses it, the Litter-Robot performs a cleaning cycle, which means no matter how many cats use it, each one will have a fresh, clean place to go every time. The Litter-Robot is great for small cats, big cats, and lots of cats! All you have to do is empty the waste drawer when indicated and add litter as needed. For a household with one cat, that’s about every 7-10 days. For multiple cat households, that’s about once per week! No more time wasted bent over scooping litter box after litter box! Hopefully these tips will help keep your cats happy and healthy and make having a home with multiple cats feel like a dream again.